Are your current marketing strategies just not cutting it? Have you hit a plateau and need a little something to jump start your company’s visibility? Promotional products may be your answer. 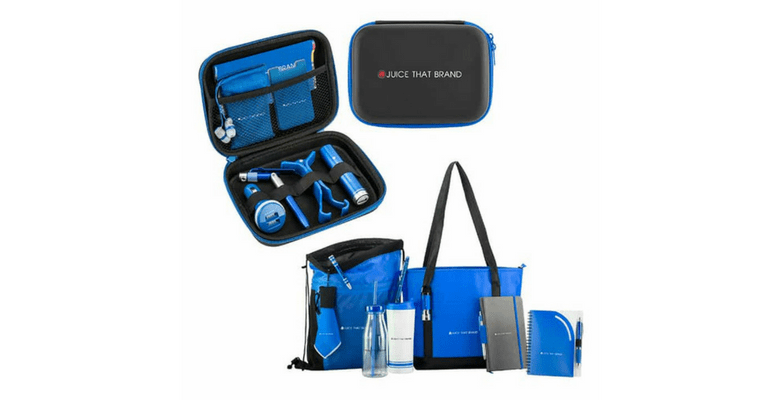 In fact, recent research has found that companies using promotional products not only increased brand awareness and sales, but also provided a greater return on investment. Let’s explore some of the key ways promotional products boost your brand. Take a look around your house right now. Do you have a hat, a pen, or maybe a coffee cup with a company logo on it? Now think about how often you use this product How often do you see it? In addition, the chances are you can probably recall at least one thing about the company plastered on these products. Why is this important? Ask yourself, if you go to the store and are given a choice of two products to buy, one that you recognize and one that you don’t, which one are you more likely to purchase? We know that promotional products provide the best return on investment, but what is the actual cost? Branded products offer a more cost effective way to create visibility compared to other forms of advertising. Promotional products cost an average of .6 cents per impression, while TV and newspapers cost 2.4 cents and 1.8 cents respectively. This is one-quarter of the cost per impression for television commercials and one-third of the cost for magazine advertisements. There really is no comparing the cost effectiveness of promotional products and other major advertising mediums. The average consumer keeps promotional products for two years. On top of that, 53% of people use their promotional product on weekly basis. That means your investment in promotional products results in continual customer is exposure to your brand and messaging. Just think about how much it would cost to keep a television ad on the air for two years. If you think that promotional products are just what your company needs, contact us today.